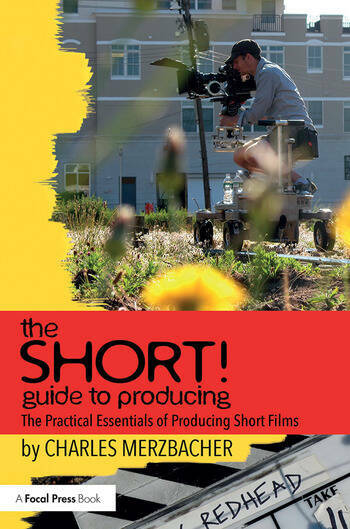 In this book, Charles Merzbacher offers a concise, definitive guide to the essential skills, techniques and logistics of producing short films, focusing on the practical knowledge needed for line producing and overseeing smaller-scale productions. Drawing on insights from real-life production scenarios, veteran filmmaker and instructor Charles Merzbacher takes producers through every stage of the production process, from fundraising, preproduction and planning to the producer’s role in postproduction and distribution. An accompanying website—available at theshortseries.com—offers document templates for contracts, call sheets, budgets and other production forms, as well as sample production documents and short video guides featuring top industry professionals. Is There an Audience for This Short? The Short Dilemma: Who’s in Charge? What Exactly Am I Producing? Charles Merzbacher serves on the Film & Television faculty at Boston University. During his long career, he has overseen the production of several thousand student films and has delivered workshops and lectures at other institutions at home and abroad. As a filmmaker, Merzbacher has won several awards for his many productions. His feature film, Jane Street, premiered at the British Film Institute, and his short films have been exhibited around the world, including at the Sundance, San Francisco, Seattle and Montreal International Film Festivals. "Charles Merzbacher—professor and filmmaker—has much to say on not only about how to make a film, but about how to make a GOOD film. His wisdom, insights and advice will be indispensable to anyone setting out on their cinematic journey." "This book does a great job in showing the kind of thinking and problem-solving film production requires. After so many years of guiding students through this process, Charles knows how to break it all down. He highlights what’s important and then shows examples to support each point. The information here not only addresses making short films, but gives solid advice that would be useful in all filmmaking and project development." "An excellent guide to a complicated and detailed process. This book, from someone who has actually done the job, contains a comprehensive look at the difficult and meticulous line producing process. It should be required reading for anyone contemplating making a short film." "If you’re yearning to make a short film but don’t know where to start, this is the book for you! If you’ve made short films, but it’s been awhile and you need a refresher course, this is the book for you! If you’re teaching short film production to a group of students and you want to make sure every aspect of the filmmaking process is covered in your course, this is the book for you and your students!"